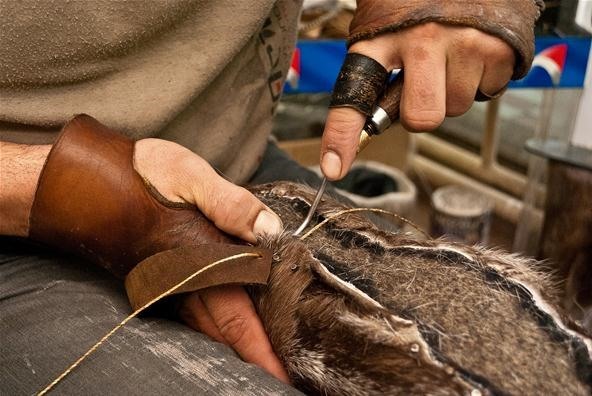 A finnesko is a boot made of tanned reindeer skin, with the reindeer's fur on the outside. It's an especially good, warm boot for subarctic regions. 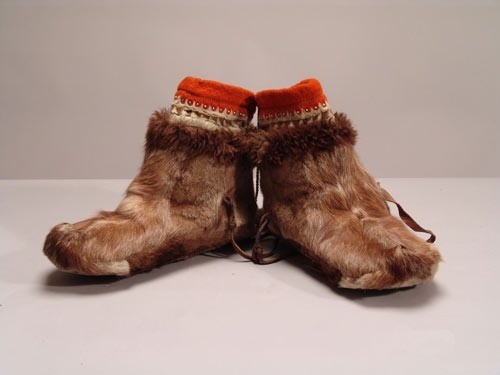 These boots originate from the Sami, indigenous people from the cultural region of Sápmi, located across four countries in the Arctic Circle; Norway, Sweden, Finland, and Russia. This area is also referred to as Fennoscandia. Sami are also commonly called Lapps or Laplanders, though some consider the terms pejorative. In ancient times, the Sami often described themselves as Finns (or Fenni), which is where the first part of finnesko comes from. Today, there's a clear distinction between Sami and Finns; Finn now refers to anyone from Finland or of Finnish descent, whereas it used to refer to nearly all hunters in Nordic areas. Sko is the word for Shoe in some native Sami languages and Norwegian. The people of Sami are well known for herding reindeer, which flourish in the subarctic regions. Today, reindeer husbandry is legally protected as an exclusive livelihood to the Sami in Norway and Sweden. That means that only those linked to a Sami reindeer herding family can own and make a living off reindeer in those countries. Other words that mean the same as finnesko in some Sami languages are kallunki and kallokas. 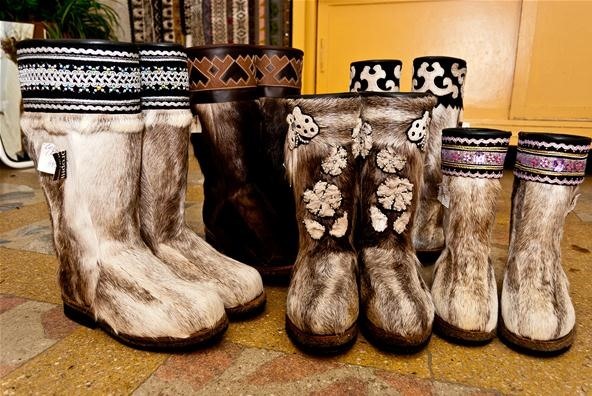 Reindeer boots are also very common in Siberia, where they are called unty and are made from the hide of reindeer legs. Finnesko can have either pointed, curled, or rounded toes and are usually decorated with felt, embroidery, and beaded details. 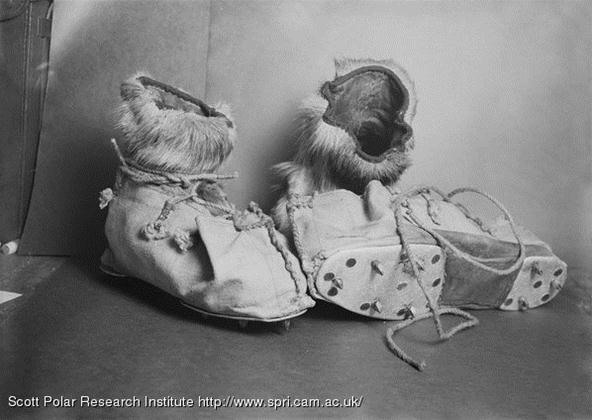 They are commonly worn as part of a gákti, traditional clothing worn by both men and women in ceremonial contexts or when reindeer herding. Hopefully, finnesko is not the fate of Rudolph, though I suspect they are the kind of boots that Santa Claus would actually prefer over his thin, black leather ones. Also, a fun Christmas fact: Santa is known have reindeer pull his sleigh, but in Sami regions, they pull pulks.